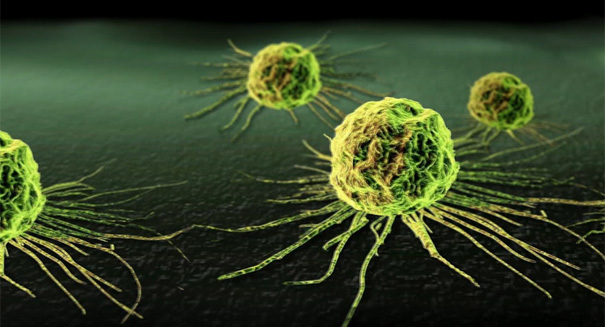 A new gene therapy to kill cancer cells? Researchers from Houston Methodist Hospital have devised a new 'suicide gene therapy' that when combined with chemotherapy, has been shown to kill prostate cancer cells. Prostate cancer affects men across the globe, and a highly effective treatment has eluded doctors for decades. According to a report from UPI, researchers from the Houston Methodist Hospital have devised a new ‘suicide gene therapy’ that successfully and safely eliminates prostate cancer cells in combination with chemotherapy. The therapy revolves around the modification of tumor cells in the patient, which causes the body’s immune system to launch an all-out assault on cancerous cells. Scientists have used this method in combination with chemotherapy in a study involving 66 patients suffering from prostate cancer between 1999 and 2003. The patients were split into two groups depending on the seriousness of the illness. Mild cases were treated using chemotherapy, while more serious cases were given a combination of both chemotherapy and a hormonal treatment. The two groups each received the new suicide gene therapy in addition to the other treatments. The first group received the treatment twice, while the second group received suicide gene therapy three times over the course of the study. The results were staggering. The patients with mild cases had a 97 percent survival rate, while the patients in the more severe group had a survival rate of 94 percent. Compared with standard procedures for treating prostate cancer, the method laid out in the study produced survival rates that were 5 to 20 percent higher. The researchers confused the cancerous cells using a mix of viruses to deliver a herpes gene straight into the cell. According to Brian Butler, the chair of the radiation oncology department at Houston Methodist Hospital, the herpes virus gene began producing thymidine kinase once it had been delivered into the cancer cell. This chemical, in combination with an anti-herpes drug, valacyclovir, broke down the prostate cancer cells’ defenses against the body’s immune system, causing the tumor cells to effectively self-destruct. The study was published in the Journal of Radiation Oncology. A press release from Houston Methodist Hospital describing the details of the study can be found here.